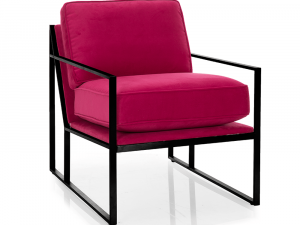 As pictured and displayed in-store in a luxurious fuchsia fabric with black metal frame. 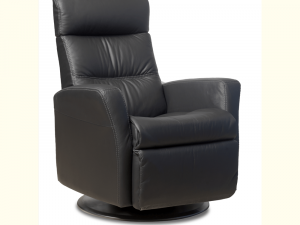 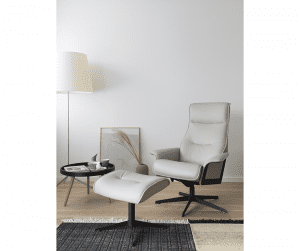 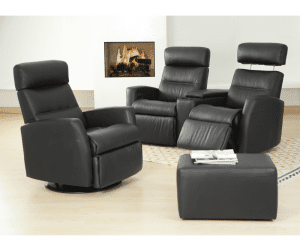 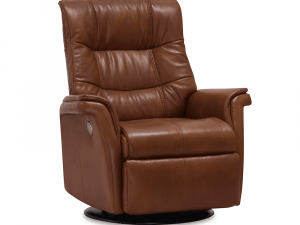 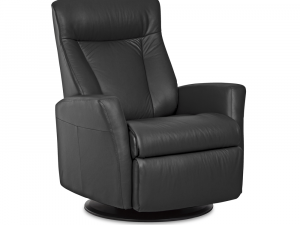 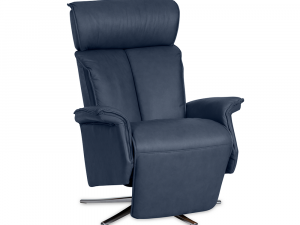 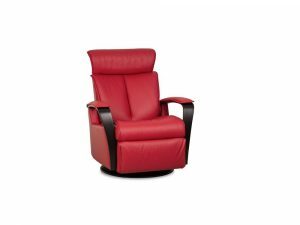 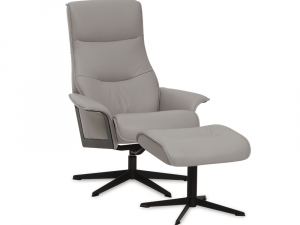 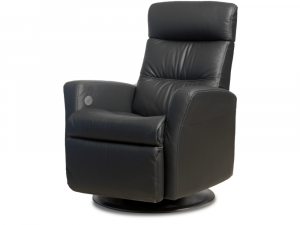 New generation Scandi recliners are the best choice for our small to medium size customers. 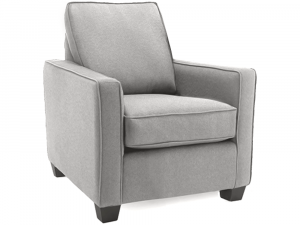 Featuring a light weight and compact appearance, they’re made for both immediate and lasting comfort. 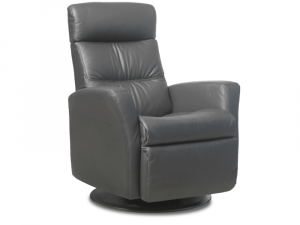 Features a new steel base design and steel details on the side panels. 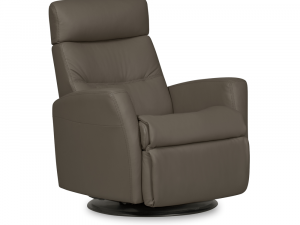 recline and swivel as your heart desires. 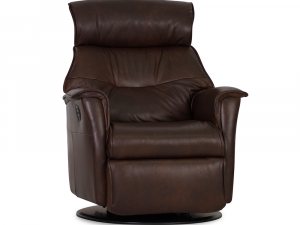 Dual hinge adjustable head rest. 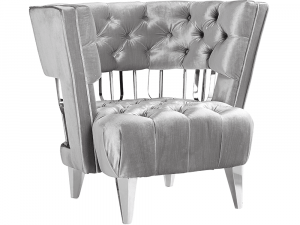 Available to order in alternate leathers and fabrics at select pricing. 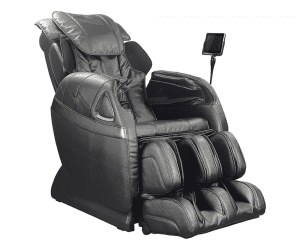 Special buy pricing only applicable to floor model version. 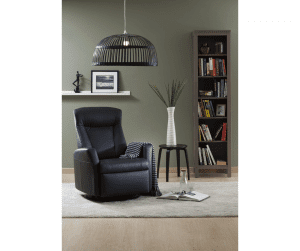 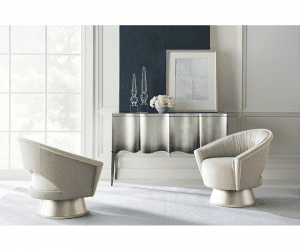 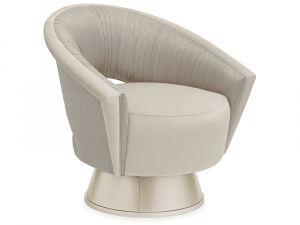 Beaming with the luxury you’d expect from Italian made furniture, this downright classy swivel chair will be a new favorite in your home that you can’t live without. 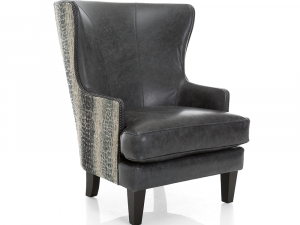 Upholstered in a dark grey leather, with contrast stitching. 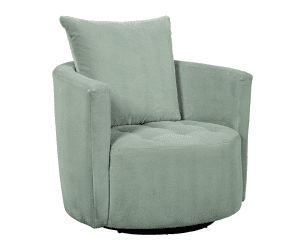 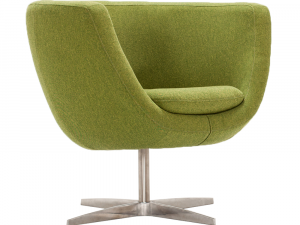 Features a steel swivel base. 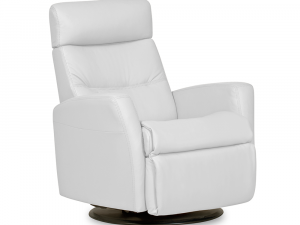 Available in light grey, white or dark grey leather at no additional cost. 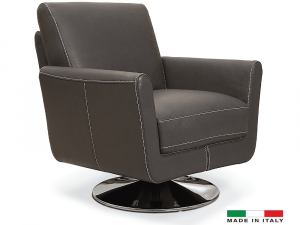 Available in a variety of custom leathers for an additional $250. 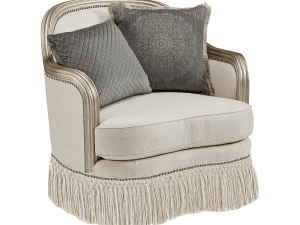 Includes two down blend-filled toss pillows in coordinating fabric and trim. 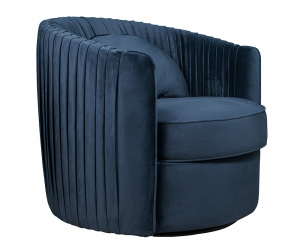 Deep box pleated body and skirt. 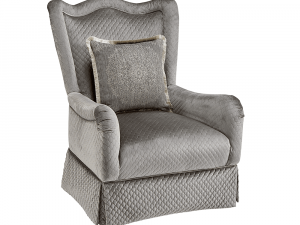 Includes down blend pillow covered in a coordinating pattern. 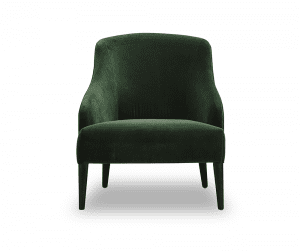 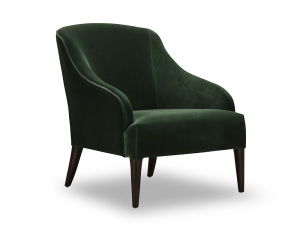 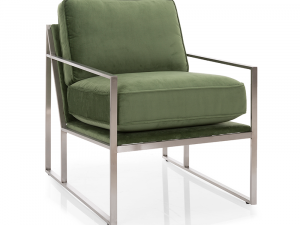 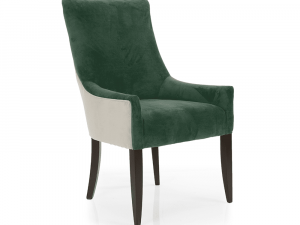 Set a sophisticated and distinguished tone with this striking emerald green velvet Club Chair. 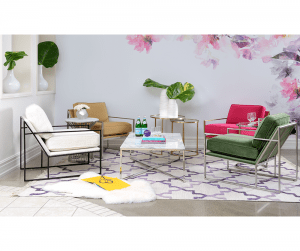 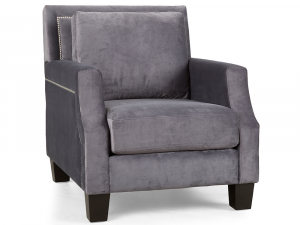 Featuring v shaped channel tufting, outlined by nail-head trim, the chair brings modernized retro style to any room you place it. 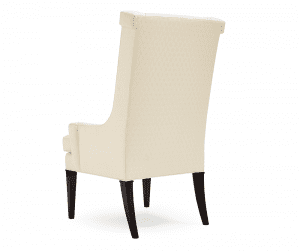 Crafted with a durable solid wood frame. 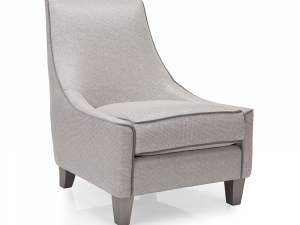 Upholstered with high-density foam and fiber padding. 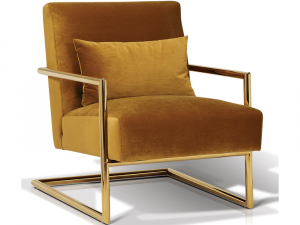 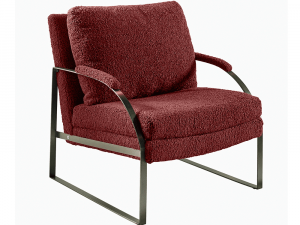 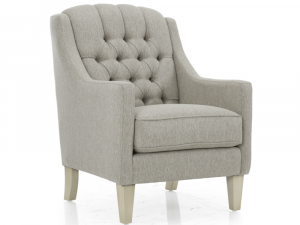 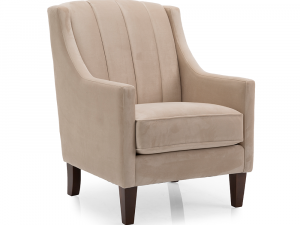 Sleek and stylish, this studious accent chair is an easy way to add comfort and function to any room of your home. 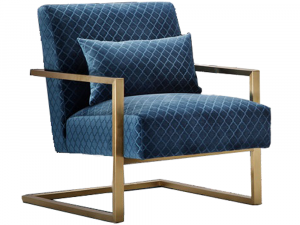 Constructed from select hardwood solids. 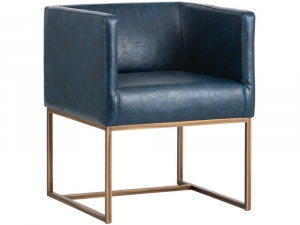 Available in alternate leathers and in fabric, at select prices. 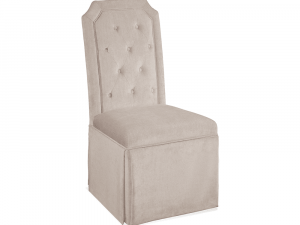 Matching ottoman available to order in store. 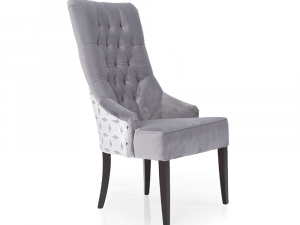 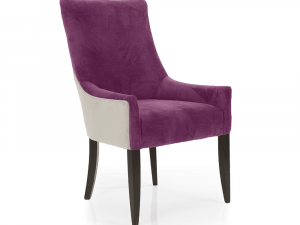 Sit with confidence, comfort and style by adding this gorgeous chair to your collection. 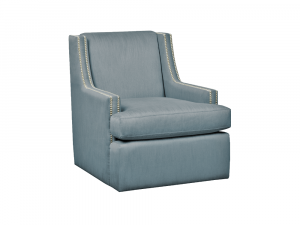 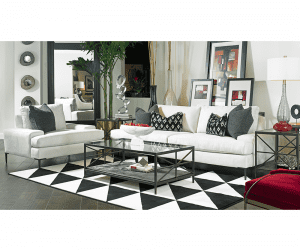 Featuring channel back tufting and soft foam cushioning. 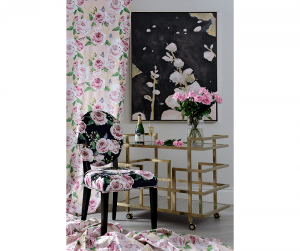 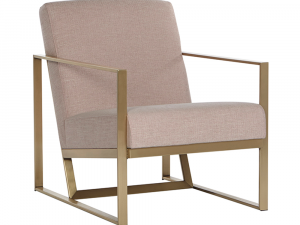 Upholstered in a luxurious blush fabric. 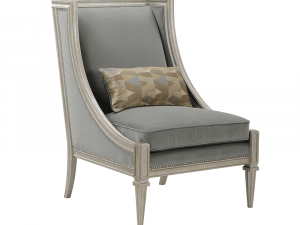 Legs available in fruitwood, espresso, black, pewter, antique grey or cream at no additional cost. 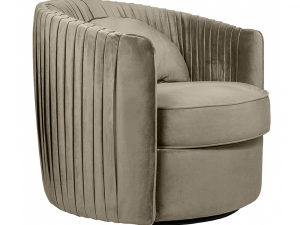 Available to order with channel back or tufted back in alternate fabrics from grade 23-53 at no additional cost. 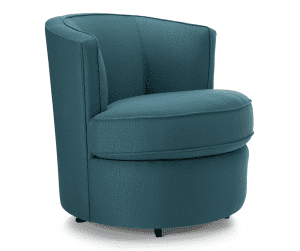 Alternate fabrics in higher grades available at select pricing. 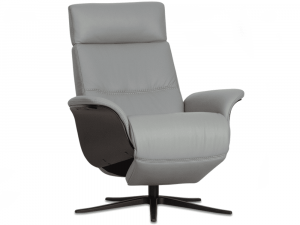 Also available to order in a variety of leathers. 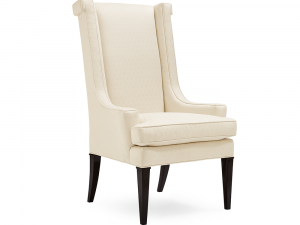 Easy sophistication. 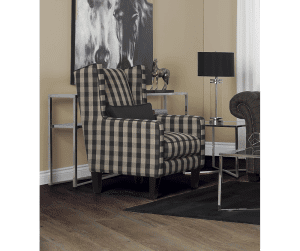 Features hardwood construction, comfortable cushioning and heightened legs for added flair. 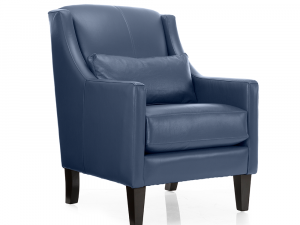 Customize in alternate fabrics and leathers, as well as finishes with upcharge. 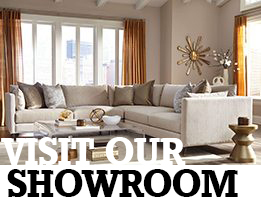 Special Buy pricing relfects showroom sample. 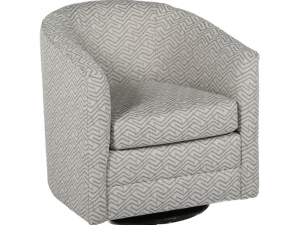 Shown here in a dynamic fabric cover, with jazzy diamond patterns. 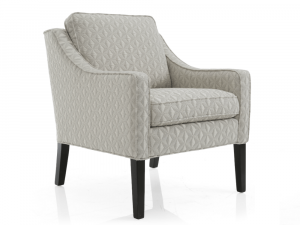 * Fabric not shown in photo. 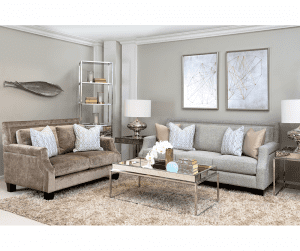 Special Buy pricing reflects showroom sample. 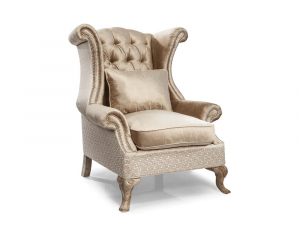 A classic take on traditional style, this handsome chair creates a distinguished ambiance in any room. 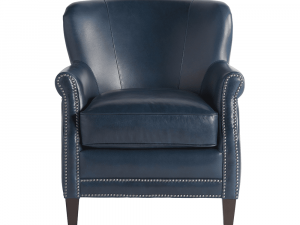 Upholstered in a supple Blue Leather. 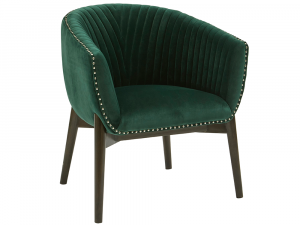 Exquisitely refined, featuring nailhead trim, and a scalloped detail inset upholstered in a striped tri-tone velvet along its outside back, this stylish chair is perfectly proportioned. 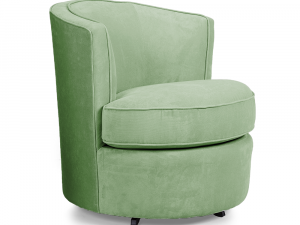 Constructed with plush poly foam cushion and birch wood. 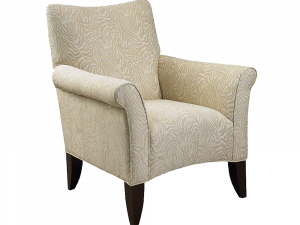 Scalloped inset detail on outback. 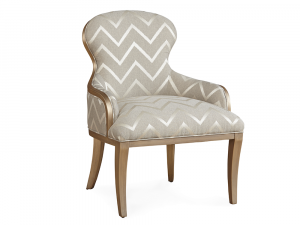 Elegantly styled with a decorative pleated back, this beautiful chair is a great way to enhance your decor, while adding comfort to your home. 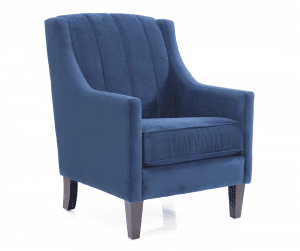 Upholstered in a luxurious blue fabric. 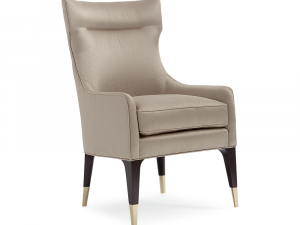 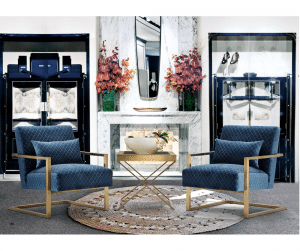 Distinguished by its streamlined arms, with an elegant, contrast of bold and neutral colours, this smart and sophisticated chair makes a statement in any setting. 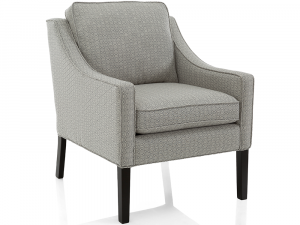 Crafted from Birch with Metal Ferrules. 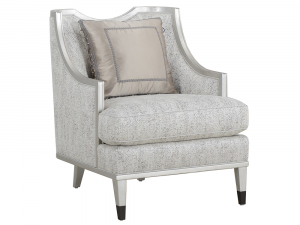 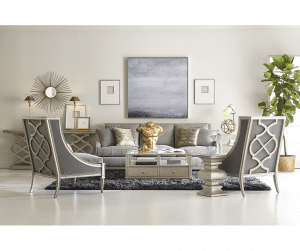 A great way to add some modern pizzazz to your existing decor, the contrast of metal and plush fabric on this charming accent chair is a perfect example of how opposites attract. 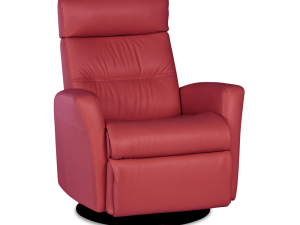 Seat back and arm pads upholstered in plush ruby fabric. 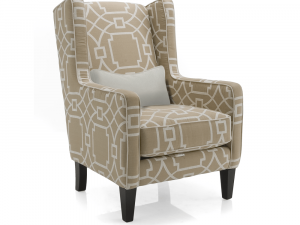 Available to order in custom fabrics at select prices. 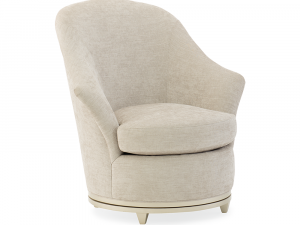 Fun and Stylish, this chic little accent chair is a great addition to any home, with its comfy tub style design that just hugs the body, and its convenient swivel action base. 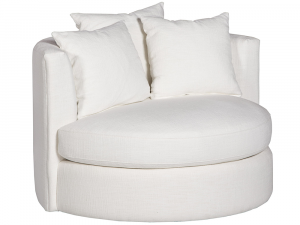 1.9lb foam core seat cushion. 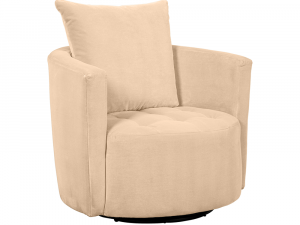 Available to order as non swivel chair with wooden legs. 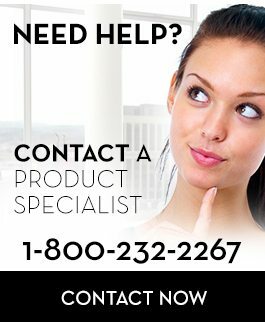 Pleas contact us for details. Combining comfort and design in a unique and sophisticated way, the Model collection offers a range of amenities, wrapped up in a beautiful look that brings style to any room in your home. 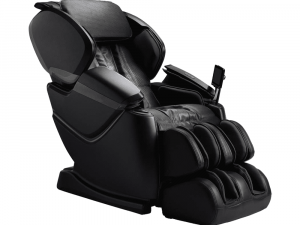 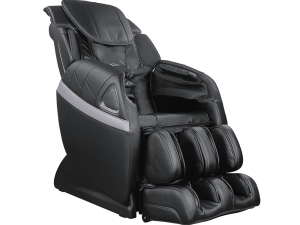 Back and footrest operate completely independently. 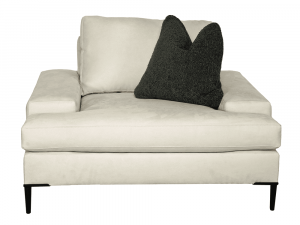 All cushions are made from cold cure molded foam. 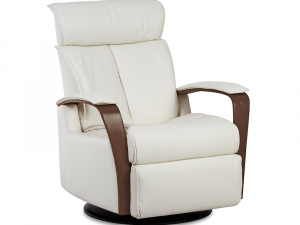 Chairs are equipped with an adjustable headrest pillow system. 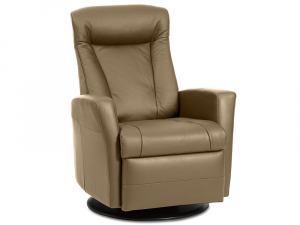 Base features 360 swivel capability. 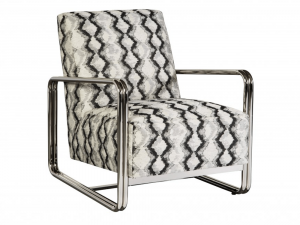 Showroom sample featured in Trend Pacific Leather. 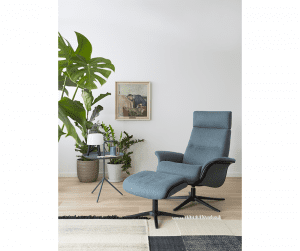 Special buy pricing only as shown. 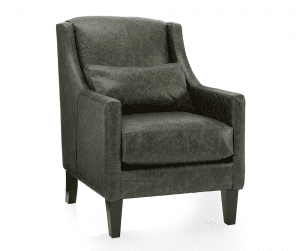 Available to order in a wide variety of colours and grades in alternate fabrics and leathers at select pricing. 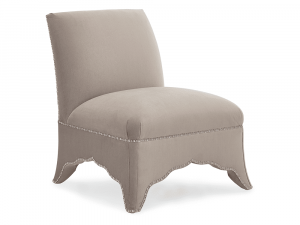 Metal base finish only as shown. 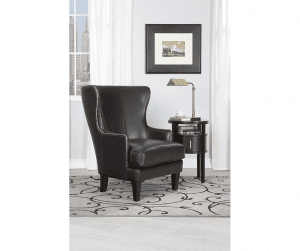 Alternate beech wood base finish available at no additional cost. 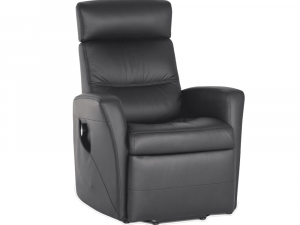 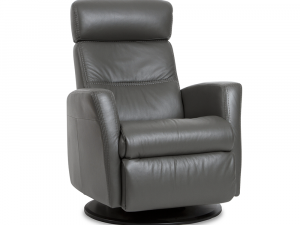 Glide into position, with its smooth reclining mechanism, and enjoy all the amenities like an adjustable headrest support, integrated footrest, lift function, power remote and a sturdy swivel stand. 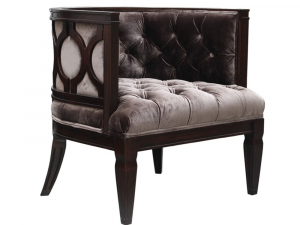 Features shaped exposed wood arms and legs and gorgeous nailhead trim. 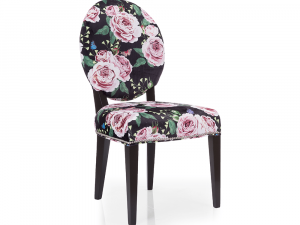 Upholstered in a tone-on-tone patterned cotton. 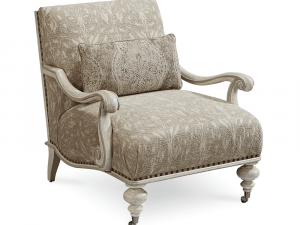 Beautifully detailed back with a woven medallion inset framed in wood. 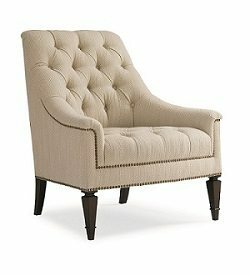 Spool turned, castered front legs. 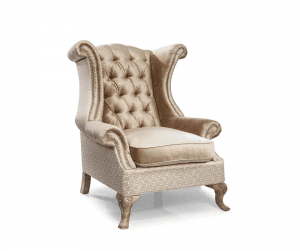 Victorian style scrolled and curved arms. 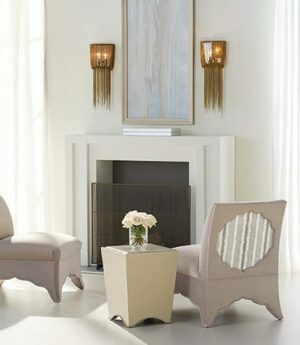 Gray Mist and lighter Cirrus. 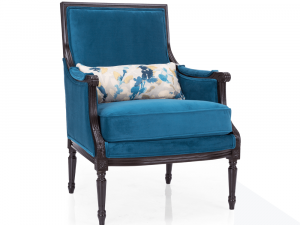 This stunning classic style chair, shown here with an espresso finish in a combination of Hot Turquoise and Dina Blue fabric, makes a perfect addition to any home in need of a classic uplift. 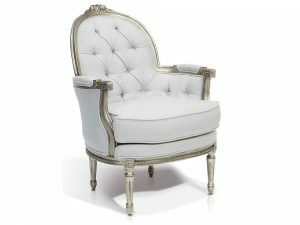 Featuring a wood frame with exquisite carvings that sneak past its upholstery, the chair is a fashionable and comfortable accent suitable for a variety of uses. 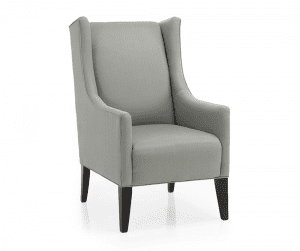 Special Buy pricing applicable to Hot fabric family only. 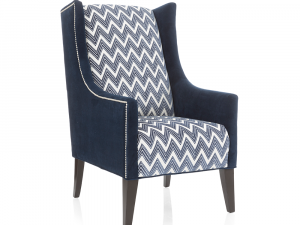 Available to custom order in-store in hundreds of fabrics and grades at select prices.